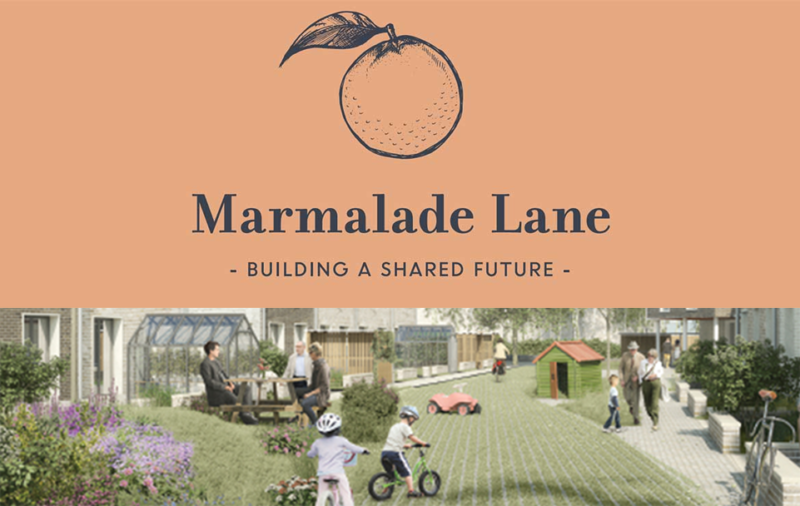 Cambridge Cohousing members are the future residents of Marmalade Lane, Cambridge’s first cohousing community currently being built at the site known as ‘K1’ in Orchard Park, Cambridge. Forty-two homes ranging from one bedroom apartments to four bedroom homes will be ready in June 2018, and members are already exchanging contracts! Being part of a cohousing community means that your home comes with so much more; the opportunity to be part of a self-managing community with shared facilities, a shared intention to live in a more sustainable way, a shared garden and productive area, a workshop and gym, and a ‘Common House’ where community members can regularly eat and meet together. This also includes three guest bedrooms and an extensive a range of other facilities – laundry, kids playroom, lounge area and two amenity rooms. With only 21 cohousing communities in the UK, this is a rare opportunity. Our growing multi generational community of future residents are of all ages and nationalities and are either currently resident in Cambridge or specifically moving to be part of our adventure. With just a handful of properties available for reservation and purchase there is still time to join us. You must however be “purchase ready” to buy off plan. This means either you have already sold your home subject to contract, are a cash or first time buyer. The Ecology Building Society have agreed to offer mortgages for properties on the development subject to the usual checks https://www.ecology.co.uk. We also have a local broker https://snamortgages.co.uk.